A thick fog envelopes the streets of London and nefarious agents set about their evil plots and schemes. Murder most foul rears its ugly head and baffling mysterious confound the good men of Scotland Yard until they’ve no recourse by to call upon the greatest Consulting Detective of them all, Sherlock Holmes of 221 B Baker Street. 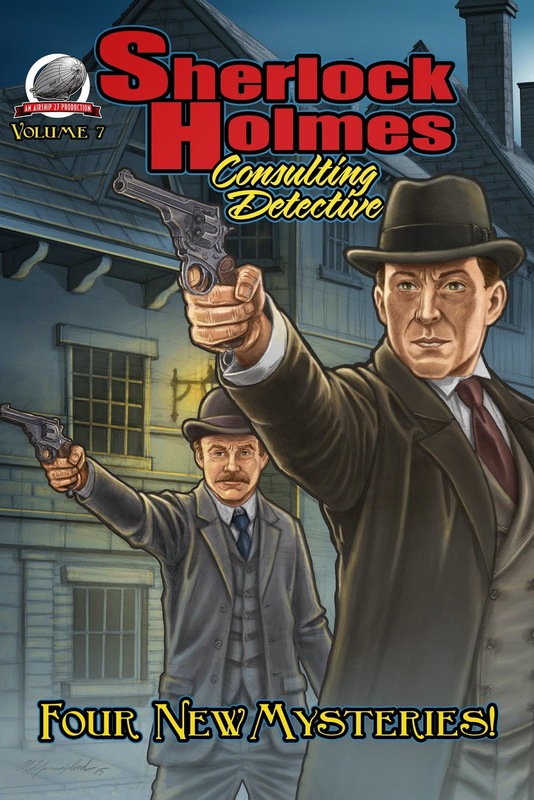 In this seventh volume of the series, Holmes and Watson, set out to solve four brand new cases, each a unique challenge unlike any they’ve encountered before. From confronting the legendary Spring-Heel Jack to battling a fictional foe become real, Holmes and Watson will have to employ all their considerable talents to unravel these complex and insidious crimes. Writers I.A. Watson, Aaron Smith, Alan J. Porter and Greg Hatcher have offered up a quartet of intriguing mysteries that will challenge even the most ardent readers as they attempt to match wits with Arthur Conan Doyle’s ageless hero, Sherlock Holmes! The book features a wonderful painted cover by Michael Youngblood that pays tribute to the late British actor, Jeremy Brett, and twelve stunning black and white interior illustrations by award winning artist, Rob Davis. It is a truly fitting addition to this critically successful series. Available now at Amazon.com in hardcopy and soon on Kindle. 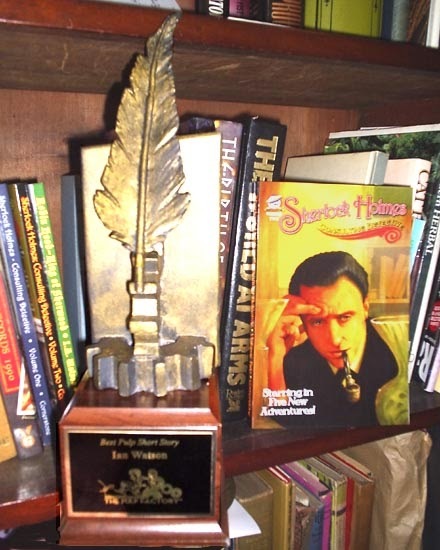 Here is the Official Ballot for this year's PULP FACTORY AWARDS to be presented at the Windy City Pulp & Paper Con. in April. Voting is open to the public. Simply fill out the form below and it e-mail back to Andrew Salmon. Congratulations to everyone nominated and good luck. Please vote for only one in each of the four categories by putting a X in the appropriate circle. Once completed, send directly to andrewsalmon2000@yahoo.com You have until the end of March to vote and turn in your ballot.